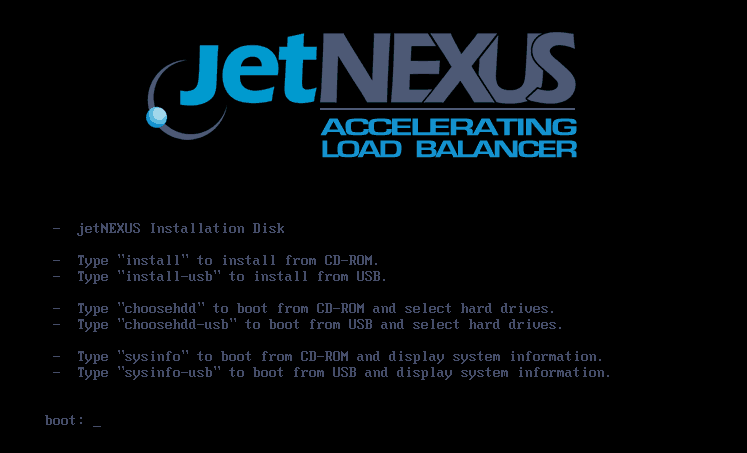 The aim of this guide is to provide assistance with the installation of jetNEXUS ALB-X appliance on your own hardware. You can use your default CD burner application to burn the ISO image to a CD-ROM or USB. Note the hard disk will be completely wiped and reformatted as part of the install process. Type “install” if you are using a CD-ROM/Virual CD-ROM and hit enter as per the on screen instructions. Type “install-usb” if you are using a USB drive and hit enter as per the on screen instructions. The install process will start, giving you time for a coffee break. Once the CD-ROM is ejected, the server hardware will reboot. Congratulations you now have a jetNEXUS ALB-X load balancer. Please refer Basic Configuration to assign an IP Address and log on to the GUI. IP address of 192.168.100.100. On subsequent boots DHCP is disabled. 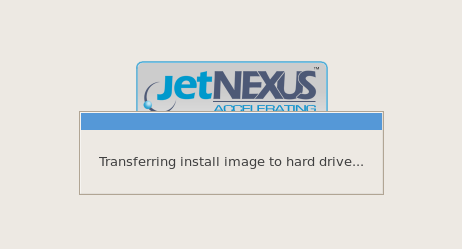 restart Restart the jetNEXUS ALB-X virtual services.